Yahoo Partners with Google on Search Ads. What You Need To Know. Yahoo recently announced that they have reached an agreement to partner with Google. Earlier this year, Yahoo renegotiated its partnership with Bing to allow for more flexibility in who fills paid ad inventory on Yahoo search results pages. Six months later Yahoo has signed a non-exclusive deal with Google to allow the search giant to serve ads on Yahoo. Under this deal, Yahoo will essentially become part of Google’s search partner network. This should help to keep the ad quality high on Yahoo while Yahoo continues to grow the advertiser base on its own Gemini ads platform. To date, advertisers have been slow to move to Yahoo Gemini, keeping media investment on that platform low and likely causing many advertisers to weigh up whether resource time outweighs the cost of doing business on Yahoo Gemini. What changes for Advertisers with this new deal between Google and Yahoo? Basically nothing. Search ads will still be purchased directly from publishers and the best way to advertise directly on Yahoo is still via the Yahoo Gemini platform. Marketers will continue to place dollars in-market on Bing Ads and Google AdWords, but Yahoo traffic will now make up some portion of those publisher’s search network inventory. Why should I invest in Yahoo Gemini if ads I place in Bing Ads or Google AdWords will be eligible to show on Yahoo? There are two positions marketers are aligning with on this question, and it’s easy to make a case for either side. On one hand, advertisers aren’t impressed with the volume available directly on Yahoo Gemini even though resources allocated to onboarding and optimizing remain the same as with Google and Bing. On the other hand, because you are buying direct from Yahoo Gemini, theoretically there should be some pricing advantages available to advertisers, in addition to less competition for the inventory. Is it worth the time for me to manage a Yahoo Gemini account for my business? At the end of the day, these types of questions are answered by a variety of factors, such as your campaign budgets and revenue goals. Smart advertisers should consider making the extra effort to test their campaigns directly on Yahoo Gemini. They may find a better return on investment there despite the lower volume. This could be extremely important for small and medium sized businesses. You’d also gain an advantage against your competition by staking your claim to inventory on Yahoo Gemini early, and could presumably reap the benefits of being first-to-market on that platform. 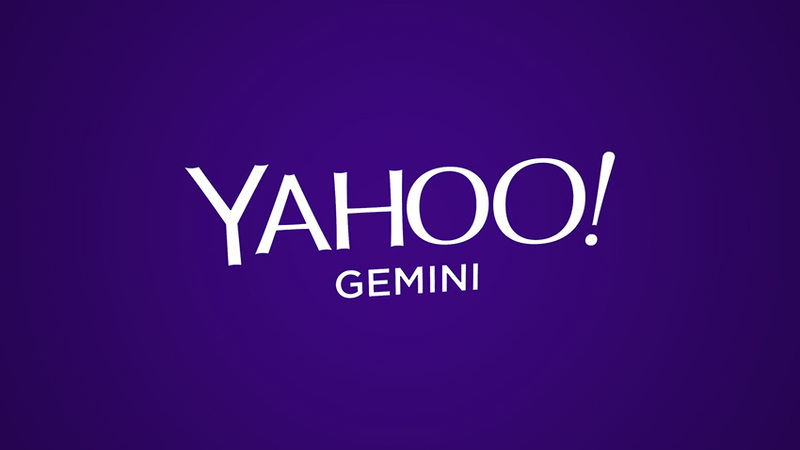 Would your business benefit from using Yahoo Gemini for your marketing campaigns? To get a POV on your marketing mix, give Kiosk a call.